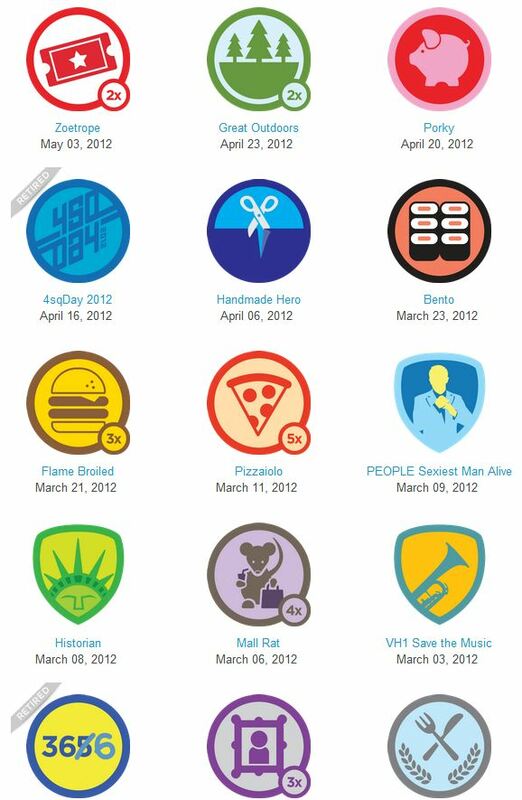 Yeah…I’m a social media nerd and I LOVE Foursquare. Check-ins are cool and it makes me smile when I get a new badge. I recently wrote my first social mediaesque blog for our company, Somnium Media and it was on this very topic! After 656 days out and 3,812 check-ins as of April 9, 2012 I have to say I am hooked. Please enjoy a few of my badges below as I had to share some. As you can tell I like Pizza…5x. That is a lot of pizza check-ins.